& live a purpose filled life! 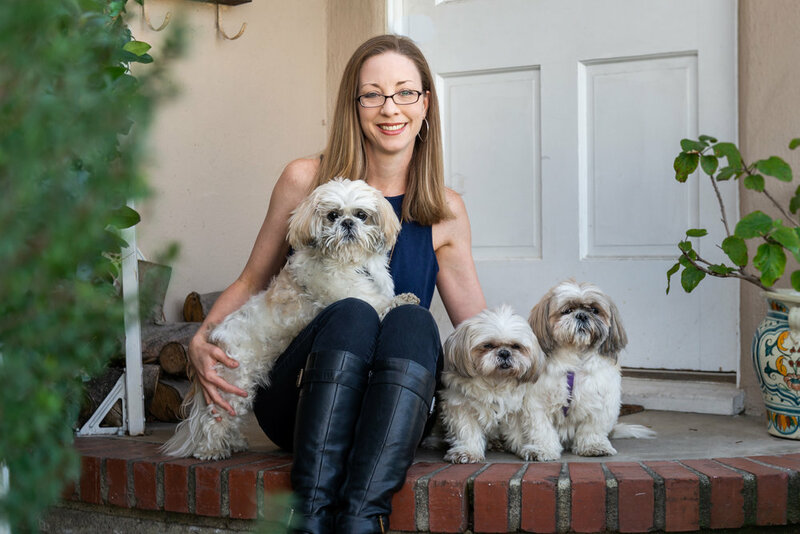 Jenny Karns is the owner of and therapist at Body Temple Healing, a thriving Los Angeles based healing space! Since 2007, Jenny has helped thousands of people feel better in their body, mind, and spirit. She is a graduate of the Institute for Psycho-Structural Balancing (IPSB) where she studied Tai Chi and integrated body, mind, spirit massage. She has studied Pranic Healing and is an attuned Reiki practitioner as well as a certified SCIO Quantum Bio-Feedback Practitioner. She is passionate about giving new commands to the DNA and helping people heal faster at a cellular level. After many years of having dealt with her own health challenges, she is a firm believer in full recoveries, magic, and miracles. Jenny loves people and loves to support her clients to feel more whole, integrated and free! Jenny has recently started offering Human Design classes and private chart readings. After 9 years of studying human design she realized how beneficial her knowledge might be for her clients too! Called to help empower those with a mission to do good in the world, and armed with her knowledge of human design, Jenny is now passionately teaching, sharing, and guiding the light workers and big dreamers to discover their super unique gifts and talents so that they might live more in alignment with their most empowered and soul purposed missions. This, she believes, is needed now more then EVER! Jenny is the founder of Dreality Press and the author of the book, Baby Boy Phoenix; a Tale of Rescue, Love, and Second Chances, and the forthcoming book, Alchemy and the Ache; transforming life’s pain into power. Jenny is passionate about helping anyone who has been through any trauma or painful experience to transform their “Grit into Gold” and step more fully into magical, passionate, purposeful living. Jenny's Body Temple Healing massage services are available for those local to the LA area. Her office is in Studio City and she is also be available to come to your home or office. Jenny's unique blend of bodywork and energy work will de-stress and unwind your body, mind, and spirit. Ear candling and cupping also available! Human design is a combination of I Ching, Kabbalah, astrology, quantum physics, and the chakra system. Based on your exact birth time and place, a chart is pulled that helps decode and understand the unique person that is YOU! The SCIO (Scientific Consciousness Interface Operations System) is the most advanced system of therapy available in energetic medicine.It uses frequencies to scan your body for any underlying stresses and imbalances. Then it sends you specific corrective frequencies to repair those stress factors and bring your body back into balance and optimal health. will de-stress and unwind your body, mind, and spirit. Jenny has helped thousands of people over the last 10 years to feel better in their body, mind, and spirit. First time client special- $25 off! Jenny has studied human design for the last 9 years and finds that knowing one’s unique design is a powerful key to healing and empowerment. Personal, couples, and group readings are available over the phone or in person in the Los Angeles area. No matter where you are in the world, you can experience the remote healing effects of deep relaxation, stress relief, pain reduction, and healing through a Quantum Bio-feedback session.